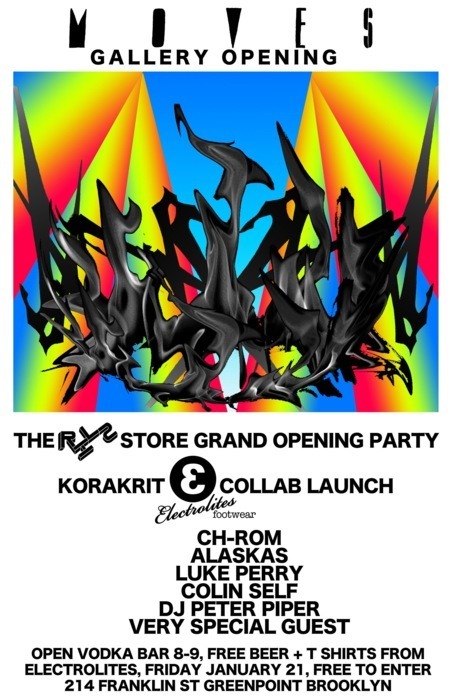 Please join us this Friday for a party celebrating the grand opening of the RHLS Store, and the launch of the KORAKRIT x Electrolites Collaboration! FREE BOOZE! FREE MUSIC! FREE FUN! Full details on the flyer above. Hope to see you all there!